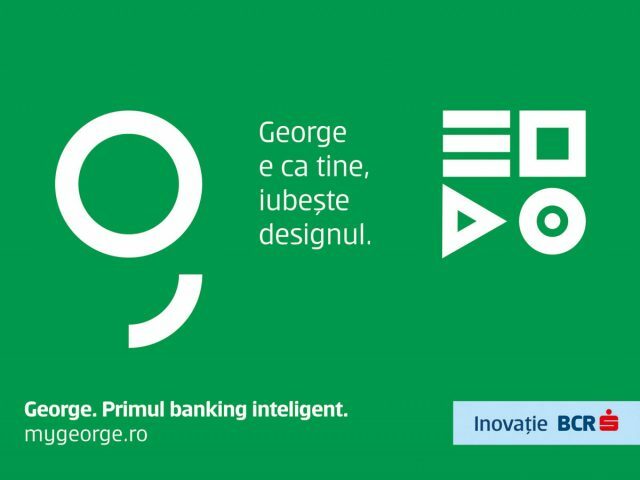 George, the new digital banking platform from BCR, was launched in Romania by Cohn&Jansen JWT. Developed for Romania by BCR alongside Erste Group Bank’s start-up fintech, the platform George is already present on markets such as Austria, The Czech Republic and Slovakia. “George represents a new manner of doing banking, created for the digital era in which we live. And because George is a revolutionary product, we needed an equal launch in Romania. And the proposal of positioning it as <<Primul banking inteligent>> (The first smart banking) was exactly the idea that we needed,” said Laura Andrei (Head of Marketing BCR). The entire strategy communication for the launch, from the positioning, the launching concept and the creative executions were developed by BCR’s marketing team together with Cohn&Jansen JWT in Romania. The main challenge we confronted ourselves with was the difficulty in explaining an innovating and so complex product to the mass market target. This is how we reached the communication strategy of placing George next to the things that are already super-familiar to people, but at the same time innovative, in order to be easier for them to understand it,” said Diana Caracota (Senior Strategic Planner, Cohn&Jansen JWT). 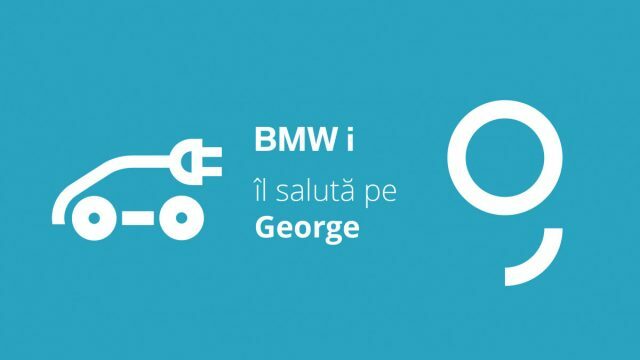 Therefore, the launching campaign had a strong teasing component, unique in Romania, in which the technology cool saluted George. The messages, created in partnership with brands such as Samsung, BMW, Uber and Pegas, were presented at TV, OOH, BTL and Online and rolled in between September 22 – October 22. The launching event took place at iMapp Bucharest and was supported by video-mapping projections and special activations for each partnership. If at the teasing phase George was saluted by the things that are liked, at the reveal the roles were inverted and George ends up saluting them back. As intuitive as a social network. As fast as a search engine. 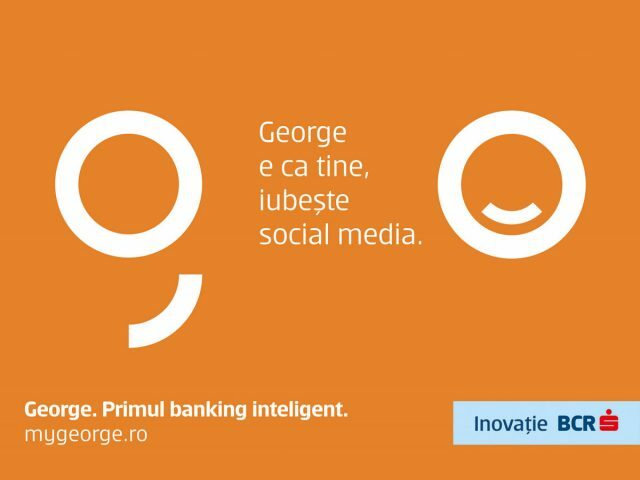 As intelligent as a smartphone… only this way you can understand that George comes with a new banking experience, making appeal at the life of the modern people,” continued Diana Caracota (Senior Strategic Planner). “Therefore, because you like the design, George likes it as well. Because you like the technology, he likes it too. And so on”. Starting October 22nd, the campaign continued under the concept “George e ca tine” (George is like you), with executions in TV, OOH and Online. I am very happy that George’s launch was a success, because it represented a complex exercise that involved all the agency’s departments and its partners. From the cards’ design up to the decoration of the BCR’s offices, from the digital campaign created alongside the partners from Atelierul or the TV super-production done by MME, everybody worked together at this success,” said Andrei Cohn (Creative Director and Managing Partner Cohn&Jansen JWT). From BCR: Ionut Stanimir, Marketing & Communication Executive Director; Laura Andrei, Head of Marketing; Nicoleta Andreea Deliu, Head of Communication; Ana Maria Ghiurca, Digital Marketing Coordinator; Adrian Saveanu, George Brand Manager; Cristian Pirvu, Online Specialist ; Maria Laura Plugaru, Online Communication Specialist; Catalin Ionita, Corporate Communication Coordinator; Monica Georgescu, Internal Communication Expert; Cornelia Pleșoianu, Brand Activation Coordinator; Adrian Stanciu, Merchandising Expert. From Cohn&Jansen JWT: Andrei Cohn, Creative Director & Managing Partner; Alex Negoescu, Creative Director; Catalina Ceparu, Copywriter; Andrei Besliu, Art Director; Diana Caracota, Strategic Planner; Ruxandra Savulescu, Client Service Director; Arina Stoenica, Account Director; Oana Stirbu, Account Manager; Ilinca Dumitrescu, AV Producer; Cristian Dobre, BTL & Production Manager. From Atelierul: Andrei Dutulescu, Managing Director; Ennifer Anefi, Copywriter; Lucian Sora, Web designer. From MME: Mihai Modalca, Production manager; Alina Mircea, Postptroduction manager; Andu Radu, Editor; Liviu Miron, Graphics.